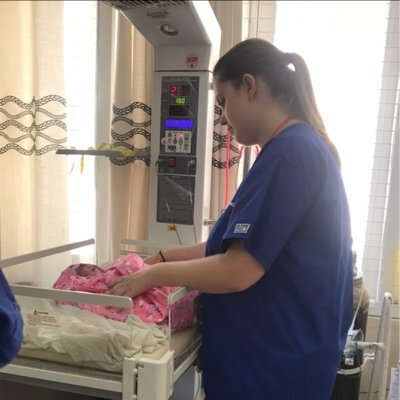 When we were given the option to go abroad for our elective I decided that I would like to take advantage of this opportunity to experience healthcare in another country. I soon discovered Work the World and researched into which country would be suitable for both myself and my friend Catherine. 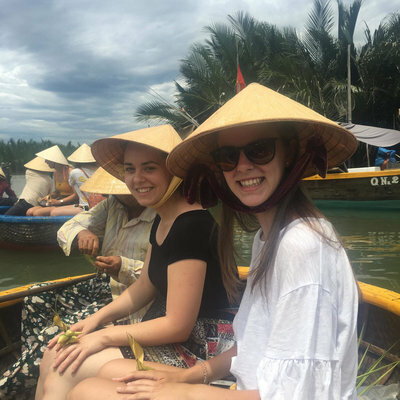 We then made the decision to travel to Sri Lanka and we chose to go with Work the World as they are a reputable company which offers impeccable service - they assign you a representative to help you secure your placement, accommodation, flights and visas. They are very accommodating and will work with you individually to ensure you meet all your academic and personal needs as a student. They are a very supporting and professional company who will be with you every step of the way on this exciting journey. On arrival at Colombo airport we were greeted by a Work the World representative called Thulsi and stayed at a nearby hotel where we met some other students from around the world, who were soon to become long lasting friends. The next day we all travelled to Kandy in mini buses, which was an experience in itself - we saw elephants walking past us on the road which was astounding. We arrived at our accommodation and were introduced to Nandika the Work the World Programme Manager. We had an orientation of Kandy town and were given advice and tips to help us throughout our stay. We were also taken out for a lovely meal and got to try some local dishes which were a little spicy for us, but nevertheless we took the opportunity to try everything. The house we stayed in was amazing and when we went on the roof top we could not believe the beautiful views. The food in the house cooked by the Chefs was amazing and catered for everyone’s needs and the BBQ on a Wednesday night was very popular with all the housemates. On our first day at the hospital we were taken to Mr Nalin the Chief Nursing Officer, who assigned us places to work. As we were studying paediatrics we split our 8 week placement up to see as much as we could. We worked in the medical and surgical departments, and visited areas such as SCBU (special care baby unit) and a variety of clinics. We were also lucky enough to gain 2 weeks experience on the obstetrics and gynaecology ward where we were privileged to witness some births and some caesarian sections in theatre. One of the first things that struck us about the hospital was how busy it was compared to the UK. There would be people queuing out of the door to be seen, which highlighted not only the volume of patients, but the lack of facilities for patients to wait. Nevertheless we never saw anyone getting angry or shouting, they take it in their stride and have a very relaxed attitude. Mr Nalin also arranged for us to have a visit to the nursing school, which we definitely recommend. The Sri Lankan students go to placement in the morning then in the afternoon they go over the road to their school and have lectures. Their school is quite old fashioned in that they have large classes and they have to wear their uniform all day. Catherine and I had the opportunity to sit in a class that they were all attending and they were giving presentations on a variety of health topics. The students were encouraged to speak in English and they had lots of questions for us. All nursing students are guaranteed a job when they qualify. If they get good grades they get to choose where they want to work, but if they don't they are sent somewhere not of their choice. When we worked in SCBU, where the babies are seriously ill and premature, there was one baby that needed ventilation as her respirations were very high for her age (being just a week old). The team had to make a decision quickly as she was working too hard and soon she would run out of energy. They had to wait for the consultant to come and decide whether to take another baby off the CPAP machine she needed. The baby who was at the time using the CPAP machine had a syndrome that would limit his life, so the team were in a position where they had to choose which baby would benefit from having the ventilation more. The little girl was healthy with no syndrome so it looked like she would be saved and the decision was made to give her the chance to live. We asked if there was the option of transferring one of them to another hospital but they were all full. This was really quite upsetting for us to see as the team were put in the position where they had to sacrifice one life to save another. This whole situation made me realise how lucky we are to have the amount of technology we have in the UK. On the wards we came across many different diseases like thalassaemia, snake bites & nephrotic syndrome. We followed drug rounds regularly and although they spoke in Sinhalese occasionally, there are many nurses and doctors that speak English and if you ask them to explain anything they are more than willing to do so. I would honestly say that all the staff we encountered were very friendly and helpful. I would advise that you take every opportunity that you can whilst working in the hospital. After a hard shift at the hospital there are many exciting things to do in Kandy such as the Temple of the Tooth, the Botanical Gardens, Kandian Dancing, Pinewella elephant orphanage and the Big Buddha, which are all well worth going to see. When in Sri Lanka the main form of transport is a Tuk Tuk and before we arrived we were very excited about travelling in these, they are definitely a unique experience and so much fun. One great way to get to know everyone in the house is to plan weekend trips to visit other parts of Sri Lanka, there are many places to visit including Galle, where you can experience stilt fishing and watch baby turtles, Arugam Bay where you may like to try surfing and of course the famous Nuwara Eliya which is nicknamed Little England because of the extreme temperatures - here you can make the trek to see World's End, a truly spectacular and beautiful view. We also got the chance to go white water rafting and rock sliding, something that we would definitely recommend to try it was so much fun and very cheap like everything else in Sri Lanka. Whilst we were in Sri Lanka we had the pleasure of being in Kandy when the famous Esala Perahera Festival took place. The Perahera is one of the most spectacular religious processions in Asia and hundreds of elephants covered in lights parade the town, along with Kandian dancers, whip crackers and fire throwers. This is a yearly event and if you are lucky enough to see this in person then the memories will stay with you forever. We had a truly amazing experience in Sri Lanka which I would recommend to anyone, we have met some fantastic new friends and visited some wonderful places. 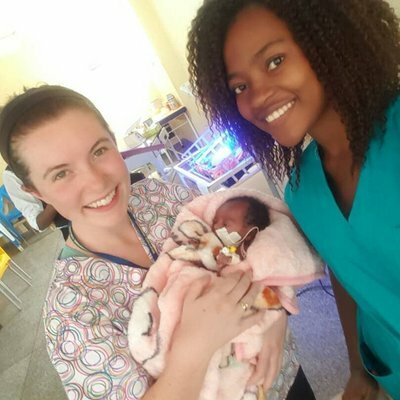 Work the World has offered us a insight into the healthcare system of a developing country, which has inspired us enormously and we are truly grateful to them for supporting us throughout our placement.